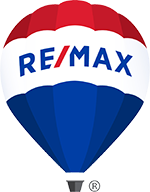 We would consider it an honor to be given the opportunity to discuss our services in detail with you and show you how your property will be managed by RE/MAX Regency Property Management. Why choose RE/MAX Regency to manage and care for YOUR investment? Supply rental applications and all other documents necessary to meet Virginia’s Landlord/Tenant Laws. All collected rent and deposits are maintained in a client’s trust account. Conduct an interior survey of the property every six months. Tenant’s payment is reported to the Rent Bureau providing an incentive for on time payments. We can more effectively market your properties to ﬁll vacancies sooner.